Gov. Jerry Brown on Monday requested presidential major disaster declaration for California following the Valley and Butte fires in the northern part of the state, which to date, have scorched more than 145,000 acres, killed at least five and destroyed thousands of homes and structures. A Presidential Major Disaster Declaration triggers the release of federal funds to support fire victims and supplement ongoing state and local disaster recovery efforts. 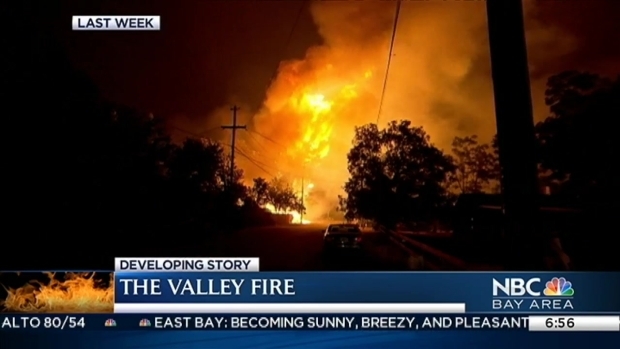 On Tuesday, the Valley Fire, in Lake, Napa and Sonoma counties, had burned more than 76,067 acres and is already considered the third most destructive wildfire in California history. The state has verified the destruction of 1,238 homes, and Cal Fire placed that number at 1,910 on Tuesday. More than 19,300 residents were ordered to evacuate and several hundred survivors remain in eight shelters, the governor said. The fire has killed three people and seriously injured four firefighters. Several residents remain missing and emergency responders anticipate the number of fatalities could grow, Brown wrote to President Barack Obama. Rosa Gonzalez of Middletown is one of those Valley Fire evacuees who has been living in a makeshift tent city in Calistoga as firefighters work to contain the blaze. She lost her home, and on Tuesday, she said with tears in her eyes, "Now, we are just waiting to see what is going to happen next." She said she doesn't know how or when she can start to rebuild, because she and her husband, "we don't have nothing," she said. Gov. Jerry Brown on Monday requested presidential major disaster declarations for California following the Valley and Butte fires in the northern part of the state, which to date, has scorched more than 145,000 acres, killed at least five and destroyed thousands of homes and structures. Stephanie Chuang reports. That's a similar story for Maria Vasquez, a housecleaner and mother, whose apartment burned in the fire. She now has to figure out where to live with her 21-year-old disabled daughter, two teens and a 9-year-old son. "I lose everything," she said, adding that she has no insurance. "I have nothing." Also on Tuesday, the Butte Fire in Amador and Calaveras counties had burned over 70,868 acres and is already considered the 12th most destructive wildfire in California history. Brown called it a “megafire,” in his letter to the president. The state has verified the destruction of 475 homes and 343 nonresidential properties, the governor cited in his letter. More than 12,000 residents were ordered to evacuate and nearly 100 survivors remain in three shelters. The Butte Fire has killed two and several residents are missing. 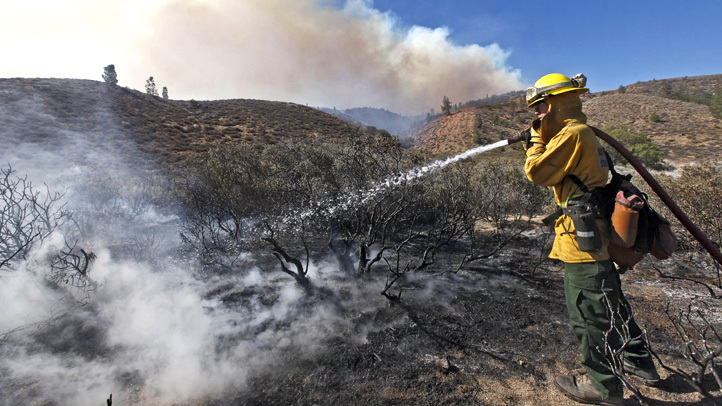 The fire was 80 percent contained by Tuesday. The letters seeking more funds – though an exact dollar figure was not mentioned - comes after Brown declared a state of emergency as a result of the Butte Fire on Sept. 11 and the Valley Fire two days later. Brown cites all those who need to be paid while battling the blazes: About 9,500 firefighters were sent to fight the fires, including members of the California National Guard. In addition, more than 100 law enforcement agencies and more than a dozen emergency managers from neighboring counties have been deployed to assist with the response. And the California Department of Social Services, which has been helping with shelter operations and coordinating with counties to identify long-term solutions for displaced residents. Gonzalez certainly fits into that category. While she lost her home and belongings, she's grateful to all the volunteers helping out while she's been displaced. "Everyone has been so good and treated us very nice," she said. "It's something we'll never forget."